As the August heat takes Rome in its fiery grip, the news of the two brutal murders holds the city in thrall. And as the media gathers and Vatican officials close ranks, a young detective is sent to the forefront of the case. 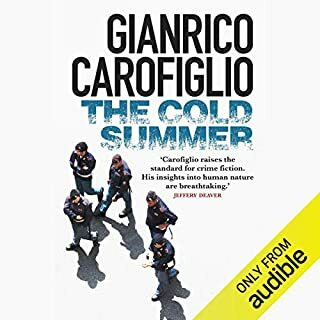 Nic Costa is the son of an infamous Italian Communist, a connoisseur of Caravaggio, and a cop who barely looks his twenty-seven years of age. 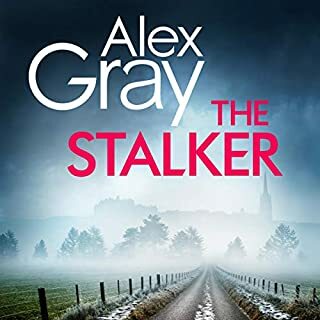 Thrust into the heart of a killing spree that will rattle his city down to its ancient bones, Nic meets a woman who will soon dominate both his consciousness and his investigation. Soon, a nightmarish chase is implicating politicians and priests - while at the heart of the matter remains the woman Costa is both investigating and guarding. Wanting to believe in Sara's innocence, Nic still cannot turn his eyes from the truths he is uncovering. Even as the secrets of a woman, a killer and a city begin to unravel...with devastating consequences. 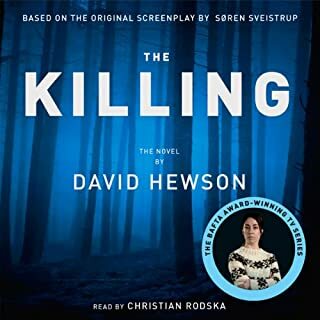 I tried this book after hearing the interview with the author, David Hewson, and hearing the first chapter on the Audible Newsletter. I wasn't disappointed. I often am filled with admiration for the ingenuity of crime writers in the novel ways they conjure up to murder people. Hewson, in this book, surpasses most in the sheer audacity of the methods used in the multiple murders he describes. Though a long book, it never flagged and kept one gripped to the end. It's not just a crime story: the characters come to life in ones imagination. Another reviewer disliked the use of a Lancashire accent for one of the characters. I disagree: Italy, like the UK, must have numerous regional accents and the only way to depict this for us the the UK is to use our regional variations. 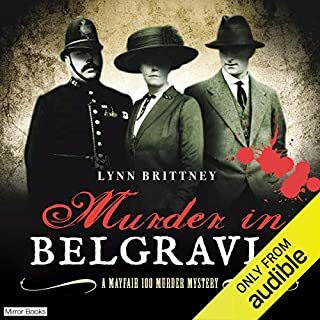 On a practical note the various accents helped me, at least, to keep track of the different characters-a great help in an audio book. I intend to listen to the rest of the series as I've been hooked by this first book. 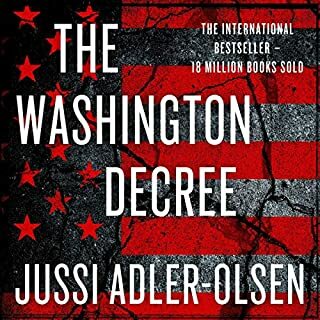 This is an audiobook of two parts in my opinion. What I mean is you really have to separate the reading from the content. The story itself is engaging and well told. Although it may not be as well written as some of the later books in the series, it serves well to introduce us to Nic Costa and some of the vivid characters who surround him. 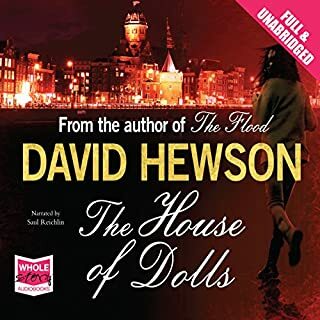 It is the first in series of formulaic novels and there is nothing wrong with that if you get the formula right, as I must say I feel Hewson does to the most part. However the reading is awful. This novel, based in Rome bear in mind, is populated with a full array of accents from the English regions. They are all here, even occasionally straying across the borders into Wales and Scotland. The result is so incongrous as to make it hard to listen to. This is a great pity and it would be regretable if this were to discourage further interest in the Costa books as the mistake has been corrected by the next book which is read with great aplomb and appropriate accents! I would give zero stars for the reading and four for the story so I have split the diference and given two stars to the whole. Please don't let it put you off following the series as Villa of Mysteries and the others that follow are far better presentations. ... about the narrator! The first two books of the Rome series appear to have been released later and I can hear why. I liked the story and loved the way we were invited into the family life of one of the heroes of the book. Unfortunately this young, Italian stud was given a camp-sounding accent from Lancashire. And the main female character spoke always in a husky whisper. 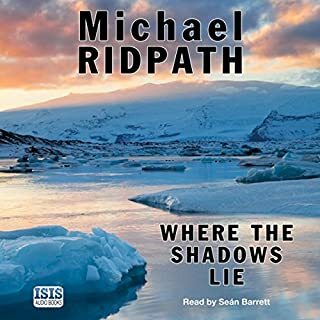 I would recommend this was heard by those who, like myself, are engaged by the Rome series, but the narration is not nearly as good as the later books, read by Saul Reichlin. I thought the book was intriguing to say the least. 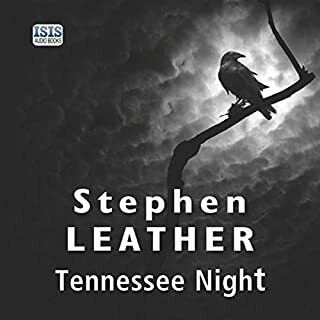 Despite what a number of readers said of the narration with the english dialects in place of an attempted Itialian accent; I thought it added to the story and the characters. I was disapointed the other books in the Rome series did not have Sean Baker reading them. 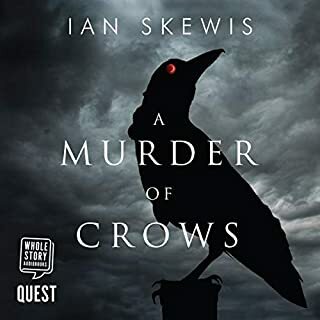 My only motivation for writing this review is to give fair warning to customers that the narrator makes a bold choice in the voices he uses which may irk you as much as it did me. He chooses to give the characters various British accents rather than attempt different flavours of pseudo-Italian. Kudos for the inventive imagination, yet the final product is wearying. Most glaring of the mistakes is to give the main character the accent of some bunkle hick place in Northern England, rather than the cosmopolitan accent of a young man living in and raised around his country's capital city by a notable politician father. It soon grows laughable though, as there does not seem to be two characters from the same region of Italy/UK, and the listeners proceeds to get an aural tour around the country. It's not the accents but the cliches that grate! I think there has been an undercurrent of snobbery about the accents used here. I agree that it's not the best interpretation I've ever heard, but that's partly because the cliched phrasing of cliched dialogue is not very entertaining. 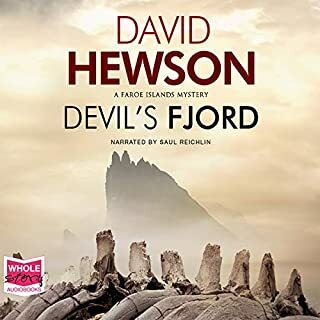 The book starts better than it ends - it was particularly in the last third that the philosophical laziness of the characters wore me down, and I couldn't help referring back to Stig Larsson's equally outlandish characters with regret, because they have a little more individuality and depth. I think a big trick is missed by not allowing the central character (Nick)to be more confidential and complex - because he seems a bit colourless and, well, not very bright to me. But the characterisation was faulty throughout in that sense. However, it surely is gruesome, and SOME mystery attaches to the events, but not that much. 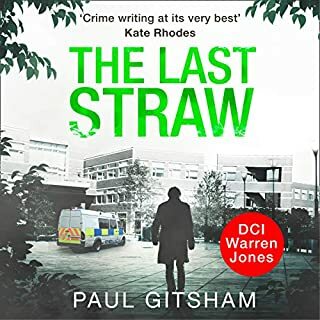 Having said that, I would like to read the much praised later instalments (written and read better, I hope) because I do respect this type of escapist fiction, and this is a serious attempt to put the ingredients together in a (slightly) different way. This was by some distance the worst audiobook I have purchased. The written work and the story no doubt have merit but the reader is less than satisfactory. His attempts at accents for his characters ruined the telling of the story. I found I was unable to listen to this book because of it. I am forced to give a one star rating but in truth I feel that is generous as a zero would more reflect my views. 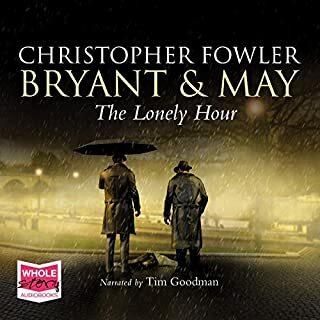 I enjoyed the last three of the Rome/Costa series but this book was spoiled by the narration, in which, nearly all the British reagonal accents were used for Italian characters! At times I laughed out loud at the accents when listening. However, don't give up on the books narrated by Saul Reichlin. 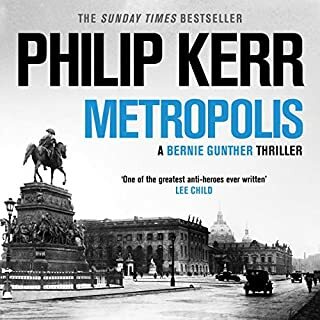 Not a bad book overall, but I agree with other reviewers that as the reader uses accents to distinguish between the characters, it would have been an improvement if appropriate national accents had been used (or none at all). I had to keep reminding myself which voice belonged to which lead character as the choice of 'voice' did not make that obvious! On the whole this is a book which pleasantly whiled away the time. Without giving anything away, I must confess that the denouement was not a surprise though. Unsure as to whether I would take the next one in the series, as I would hope for a bit more intrigue. To be honest I'm a bit disappointed with this recording. I've read some of this series of books before and although I am enjoying the story, the narration is really off-putting. My visions of Italy and Vatican City are spoiled for ever. For some unknown reason one of the characters from a small village in Italy speaks with a Welsh accent, and the main character (Nic Costa) speaks with a weedy sounding Yorkshire accent. I'm not asking that the characters speak with an Italian accent - just a normal speaking voice would have done. David Hewson has written a series of books set in Italy. 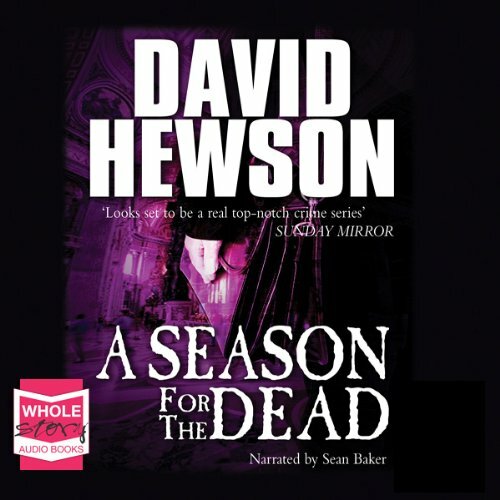 This book, A Season for the Dead, is early in the series. 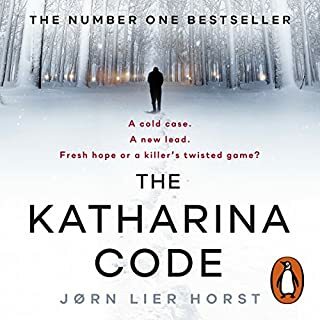 The author describes Detective Nic Costa as his main character but after reading the series it appears that there are several main characters each developed in each of the books. 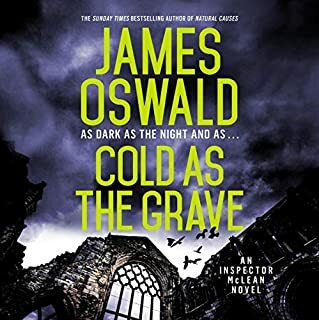 The other main characters, Leo, a Chief Inspector, Lucca killed off early and Gionni, Teresa a female pathologist and Emily, a former FBI agent turned architect are all equally interesting and as developed as Nic Costa. The author does a good job of researching the background of the stories and placing them in familiar landmarks of Rome. 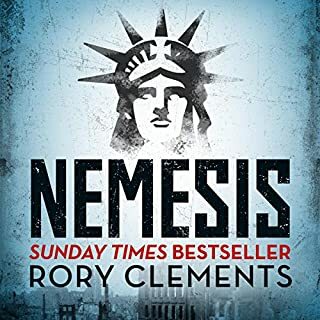 While there is occasional culture confusion with a British author writing about Italian police in Rome and being read by an American, the stories usually work. This one is no exception. The villain is always one step ahead of the police and barely has time to commit the most heinous and despicable crimes. The crimes in Season all revolve around the secret and not so healthy life of an American Cardinal in the Vatican. But, if you are reading this genre, you are used to the grisly deaths and the bizarre plot turns. And David Hewson does a good job at all these things. I would advise reading the series in the order the books were written but I didn't do it that way and it has not been a real barrier since the main characters are each developed in each book. At the end of his last book, The Lizard Bites, there is an excellent interview with the author that helps put the entire series in better perspective. 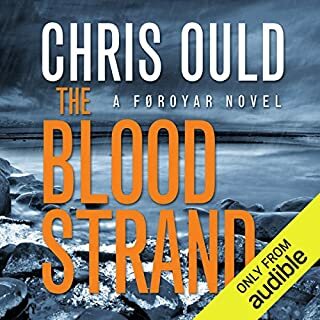 Having started in the middle of series and working my way to the end, I'm really pleased that Audible now has most of the Nic Costa series available. This is a solid start, and its interesting to see where the characters had come from. Now...onto book 2. What aspect of Sean Baker’s performance would you have changed? The accents he affected for the various characters were horrible ... very distracting. The worst were when he voiced women. They sounded exactly like Peter Lore! A very good story with good narration, but as the argot is very English it's hard to get over the supremely depressing thought that the book takes place in a universe where all the Italians have been body snatched and replaced with Englishman. Not a knock on the English -- it's be equally depressing if they were replaced with Americans, or Peruvians. If it were written in a style that even hinted that the characters were Italian, I'd give it 4 stars.